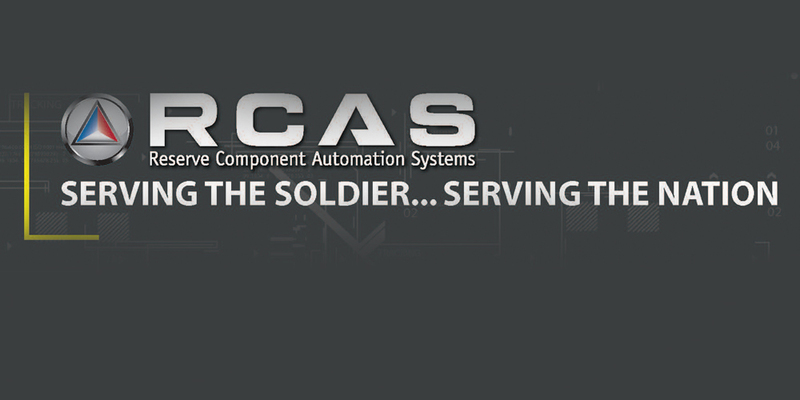 Since its inception, Reserve Component Automation Systems (RCAS) has faced a number of training challenges. Soldier time constraints, weekend training in remote locations, and restricted instructor travel budgets forced the RCAS training team to develop new ways to deliver training to Reserve Component (RC) personnel. Our training team has met these challenges with one critical mission in mind: deliver quality training to thousands of RC users from both the Army National Guard (ARNG) and the U.S. Army Reserve (USAR) to enhance their day-to-day mobilization, safety, force management and personnel operations. Beginning in the 1990s, RCAS conducted on-site training for the RC Commands. Depending on class size, one or more instructors traveled to sites throughout the U.S., Guam, Germany and Puerto Rico to provide RCAS applications training. 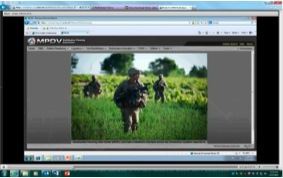 Trainers traveled to National Guard sites such as Camp Atterbury, Indiana, for example, to instruct Soldiers on the Mobilization Planning Data Viewer (MPDV) application, which gives commanders the ability to generate a snapshot of their unit’s readiness and manage Soldier and unit readiness. Where possible, training would take place using a distributed learning classroom. Class size ranged from 12 to 25 students, and training was tailored to meet the unit’s desired end state—a basic course covering targeted modules lasting one or two days, or a train-the-trainer course which lasted up to four days. Starting in the late 1990s, our instructors partnered with other educators at the ARNG Professional Education Center at Camp Robinson in North Little Rock, Arkansas, and the Army Reserve Readiness Training Center at Fort McCoy, Wisconsin, now located at Fort Knox, Kentucky. We were able to integrate specific RCAS application training into their curriculum for courses at these education centers, such as the Mobilization Integration Course and the Unit Mobilization Planners Course, which includes instruction on several modules of the RCAS MPDV application, and the ARNG Retirement Points Manager Course, which includes instruction on the RCAS Retirement Points Accounting Management application. Another very successful approach is our on-site support for RC Soldier Readiness Processing (SRP) events using the RCAS MPDV application. This extremely popular method of on-the-job synchronous training includes the capability to scan common access cards to expedite the required processing of Soldier readiness data. Using scanners reduces the check-in time for Soldiers at various SRP stations from minutes to seconds and reduces errors caused by manual entry of Soldier identification information. Capturing Soldier readiness data into the integrated, web-based, real-time MPDV application provides unit leadership with immediate access to the readiness status of their organizations. This support is conducted in a live operational environment, which maximizes Soldier training comprehension and skill retention. Since this type of training was targeted to only the MPDV SRP module, feedback received from unit leadership, although positive, indicated the need for more comprehensive training of the entire MPDV application. As part of that exploration, RCAS put together a working integrated process team (WIPT) consisting of select users from the ARNG and USAR and members of the Army National Guard Training Division and USAR Command staff to assist with identifying training requirements and methods of delivery for their respective RC workforces. Overall, onsite training was well received, but as travel budgets shrank, we began to research distance learning technologies that would offer on-demand, anytime/anywhere instruction to meet Soldiers’ demanding schedules. Based on findings from the WIPT, RCAS developed online training, beginning with just-in-time videos that focused on select modules of each RCAS application. The videos could be viewed anytime, anywhere and be accessed from the RCAS Training page on the Army Knowledge Online (AKO) website. Narration scripts were created for each video, and were reviewed and then approved by the RCAS government application product owners, training staff and leadership. Using Camtasia Studio ® by Tech Smith ® screen recording and video editing software, a member of the RCAS training staff narrated each course module while demonstrating on-screen RCAS functionality. Captioning was also added. Users select a desired module based on their individual needs and watch how the functionality is performed. Then, after completing a simple survey regarding the effectiveness of the video, they receive a completion certificate via email. Links and instructions on how to view these videos are available by logging onto the RCAS AKO homepage at https://www.us.army.mil/suite/page/207093, clicking on the Training Support tab at the top, and then clicking the RCAS Online Training link on the left. Although the on-demand videos were a success, they did not include hands-on, practical scenarios that would improve retention of functionality and, ultimately, job performance. In response, RCAS used an innovative learning platform called Adobe Captivate ® to produce web-based, online interactive training courses for select RCAS applications. The first application selected for online courseware development was MPDV: it is the most heavily-used application among the Reserve Component and is required for capturing Soldier readiness data that is electronically transferred through a web interface to Forces Command. Also selected for online course development were the Accidents, Hazards, and Inspection modules of the RCAS Safety and Occupational Health application, which keep the Reserve Component in compliance with the Occupation Safety and Health Administration 300 Log. RCAS contracted development of the interactive courses while working in conjunction with the NGB Training Division’s Camp Dodge Joint Maneuver Training Center in Iowa and with Science Applications International Corporation (SAIC) ®. The completed courses were made available on the Army Learning Management System (ALMS) and Guard University (GuardU) websites. These interactive online courses offer initial demonstration of RCAS application functionality followed by hands-on application using practical scenarios. Upon completion of the course and an online survey, a completion certificate is sent to the user via ALMS or GuardU. Survey results showed that this form of distance learning addressed most users’ needs for hands-on, practical online learning. To address the continued demand for instructor-led training, RCAS conducts recurring Web Exchange training via Defense Connect Online (DCO) where a qualified RCAS application instructor conducts a training session with as many as 30 students. DCOs provide customer-centered instructor-led training and hands-on, practical experience for specific and targeted RCAS applications as well as one-on-one interaction with the instructor. This method of training has proven very effective in addressing the need for instructor-led training while complying with travel budget reductions. While RCAS has made many changes to its training programs, there is still much to be done. Each new release of RCAS software means that users must be trained on new features and functionality, and RCAS must determine the best way to deliver that training. The dedicated RCAS staff will address each of them, taking advantage of the latest technology available, as they continue their mission: Serving the Soldier…Serving the Nation. ROBERT G. MEDLEY is the training manager for RCAS. RITA G. BARTHOLOMEW is a contractor providing release management and quality assurance support for RCAS. For more information on RCAS training and other RCAS efforts, contact Mr. Medley at 703-806-3163 or robert.g.medley.civ@mail.mil or Ms. Bartholomew at 703-806-3119 or rita.g.bartholomew.ctr@mail.mil.